This was one of the most enjoyable of local jazz weeks of the season… and now we start the fall season! Great songs, great collaborations, from edgy to time-tested to… unique. 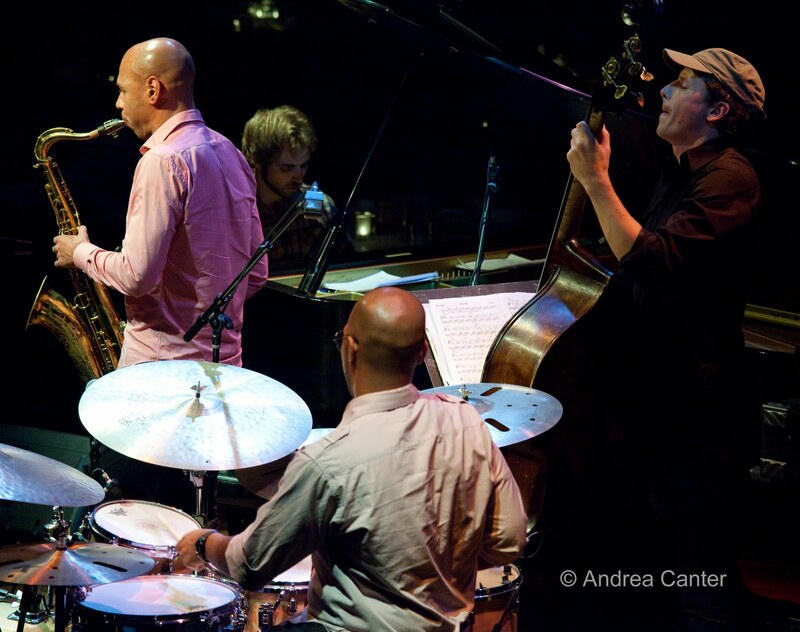 Bryan Nichols Trio with Anthony Cox and Dave King (September 16-17 at the Artists Quarter). The line-up was surely enough to make any fan of local (and beyond) free-bop drool in anticipation. Playing original compositions and some inside-out takes on Monk and Coleman, Bryan make the keyboard sing one minute, groan and rattle the next, and the same could describe Anthony’s electric and acoustic bass and Dave’s trapset antics. It was in fact a pleasure to see Dave King in a sideman role, somewhat restrained by Bad Plus or Happy Apple standards but fully collaborative in the moment with his two challenging cohorts. The three were truly in their own zone, but it was a zone open to visitors seeking a glimpse into the process of musical creation. Maud Hixson and Jason Richards, the Music of Steve Lawrence and Eydie Gorme (September 17, Jazz @ St. Barneys). A suburban church hall seems an unlikely venue for a monthly jazz series, let alone jazz at this level. But Jeff Whitmill and colleagues at St. Barnabas Church in Plymouth have been running this program for the past five years, bringing top local talent to the west burbs. This year the theme is vocal jazz, and it is hard to imagine a better kickoff than Maud Hixson and Jason Richards, pairing on songs associated with the great team of Steve Lawrence and Edie Gorme. I can vaguely remember their duets from early 60s television, but Maud and Jason brought a charming give and take to the evening, and my old memories became irrelevant. When lyrics are delivered with such care, a good story is still a good story 50 years later. With Maud’s husband Rick Carlson on keys, the feel of family was ever-present. And when Maud revealed that Eydie started out as a Spanish language interpreter, the sense of karma was really reinforced (as Maud herself started out as a French language interpreter). Maybe it’s that ingrained ability to give universal meaning to any language. The setting might have been a little quirky but the music was cabaret cozy, the delivery concert-hall worthy. PipJazz – Pippi Ardennia, Gary Schulte (September 18, Landmark Center). There’s a nice small concert space inside Landmark (Weyerhauser Auditorium) and Chicago transplant Pippi Ardennia is heading up a Sunday jazz series. 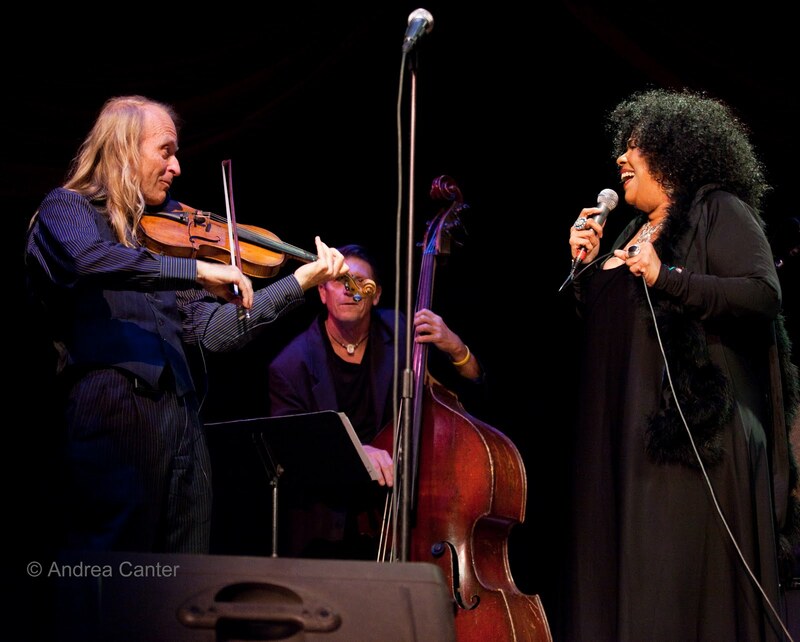 Each month she brings her house band and her own versatile voice to the stage with a special guest artist. The choice of violinist Gary Schulte was a stroke of genius, as the hot club virtuoso showed off a few other talents as well, going bow to bow with bassist Billy Peterson, string to string with guitarist Jimi Behringer, and most delightfully, head to head with Pippi on tunes from Django to Wes Montgomery. As always, Pippi brought us a wide range of jazz and blues and soul, her voice one moment feathery and sweet, one moment gritty and salty, one moment swinging for the rafters. It’s a nice way to spend an early Sunday evening, most every month, usually the second Sunday. Irv Williams is the October 9th guest. And is there a better way to spend a Sunday than hearing Irv in a concert hall setting? 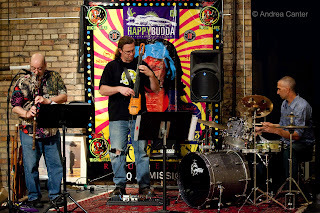 Jazz Zen (September 20, at The Nicollet). The Nicollet is new on the corner that housed the successful Acadia Cafe before its move to Cedar Av, and a couple less successful coffee shops. Hopefully this version will have Acadia's karma. 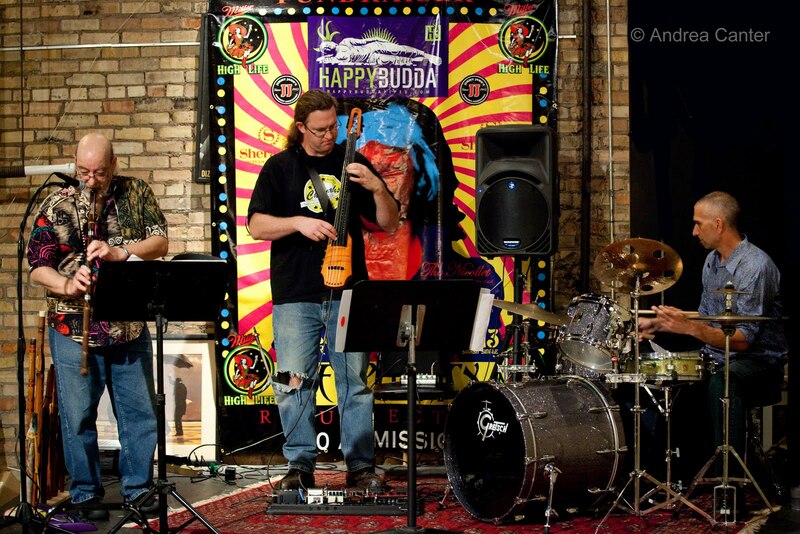 Every Tuesday, Maryann Sullivan of KBEM is curating a jazz series, and this week the featured band was one that truly defies classification, Jazz Zen. It's part bebop, part world music, part folkloric exploration. The instrumentation alone defies classification--wooden flutes (Bobb Fantauzzo), electric cello (Aaron Kerr), drumset (Derrin Pinto). The sound palettte runs from Native American ritual to Herbie Hancock and every thing, every where, in between. Fantauzzo brought maybe seven flutes of varying sizes and noted it was only a small part of his collection. Each had its own character as well as tonal range, giving the music infinite possibilities. Sipping chai and nibbling pizza or pastries surrounded by such intriguing sounds, you can easily forget you are on the outskirts of downtown Minneapolis, nearly on top of I-35. James Farm (September 21 at the Dakota). Where do musicians get band names? This might go down in jazz history as the most ill-named band. Surely the jazz cognescenti knew that James Farm was not some obscure bandleader but the band label for Joshua Redman, Aaron Parks, Matt Penman and Eric Harland? The somewhat disappointing crowd at the Dakota suggests otherwise, despite the rave press following this new ensemble and their debut recording. This is a “band” in the true sense of the word, a group of equal partners inventing new music which is reinvented with each presentation. And individually, each musician is a powerhouse, Redman, Penman and Harland together til recently in the SF Jazz Collective while establishing their chops as soloists, composers and bandleaders. Parks might be the least known of the quartet, but his skills were immediately apparent and his reputation will undoubtedly grow rapidly in the fast company of his colleagues here. Whether up tempo or lyrically floaty, James Farm never lost its way, never lost its audience, and brought surprises at every turn. Redman has never sounded more interesting, more flexible. One of my pals noted we were hearing the same set –meaning the same group of compositions—as the night before, but that it was otherwise a very different set of music. Never the same way once.